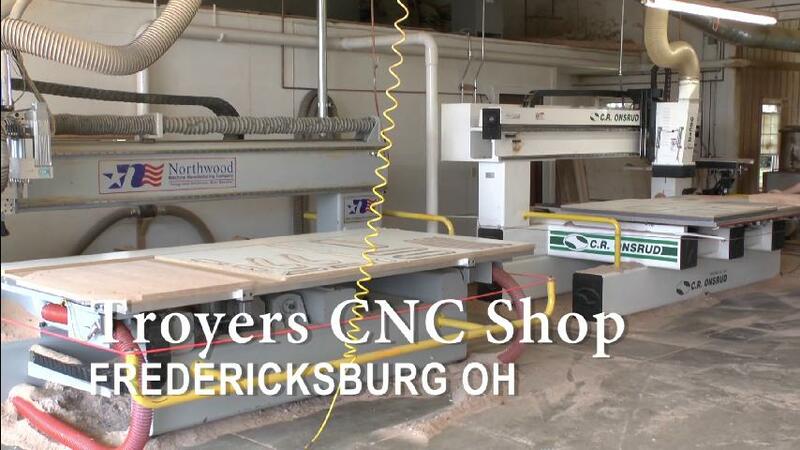 Welcome to Troyer’s CNC Shop in Ohio, your full-service resource for CNC routing services. Whether you need a one-piece prototype or thousands of parts, Troyer’s CNC can meet your production schedule, your tolerance limits, and your quality standards. What can Troyer's CNC Shop do for You? Where exact dimensions or uniformity is required. CNC…A cost effective alternative to handcrafted products, especially when repeat quantities are needed & the size or shape can be reproduced time & time again with computerized precision. Even if you have no computer or DIY knowledge we can help! Call Troyer’s CNC Shop today! We’ve already invested in state-of-the-art CNC equipment. Preserve your cash flow for your core operations and other needs. Traditional cutting, routing, and molding may be acceptable for today’s customer. However, tomorrow’s customer will demand even more precision. Protect your reputation today while not missing out on new opportunities tomorrow. Close enough isn’t good enough. Not all machinery was intended for repetitive or complex actions. CNC completes these functions faster and more efficiently while prolonging the life of your equipment. Our CNC capabilities will eliminate the production bottleneck that is slowing your workflow and costing you money. © 2018. Troyers CNC Shop.